Elizabeth Violet Arrick (E.V.) had a short life like her brother John Riley. One interesting thing about her is that she was married in Cleburne TX, after travelling there from TN. Her marriage is only 12 days before her brother John Riley's back in TN. It was initially thought that John and E.V. 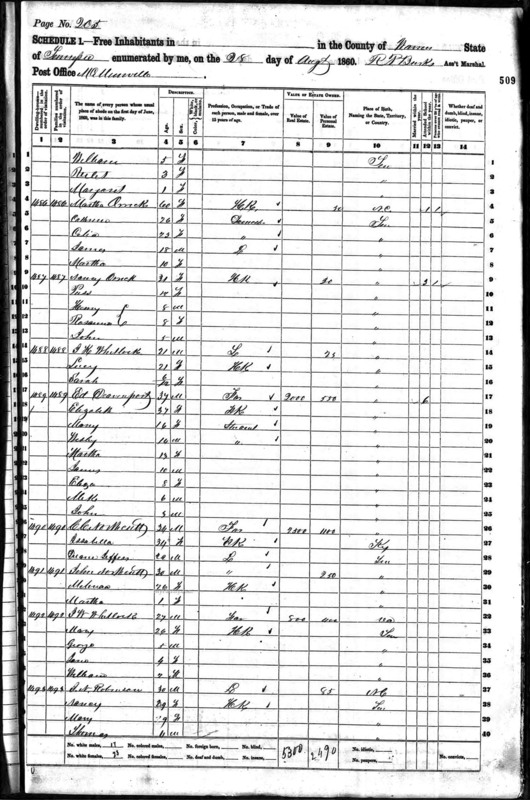 came to TX together, but now we have evidence that John came later, after E.V..
Charles Long's mother 1/30/2016 says John Webster (uncle Webb) is definitely Violet's son, and that Violet died on a wagon train between Arkansas and their destination in Texas. 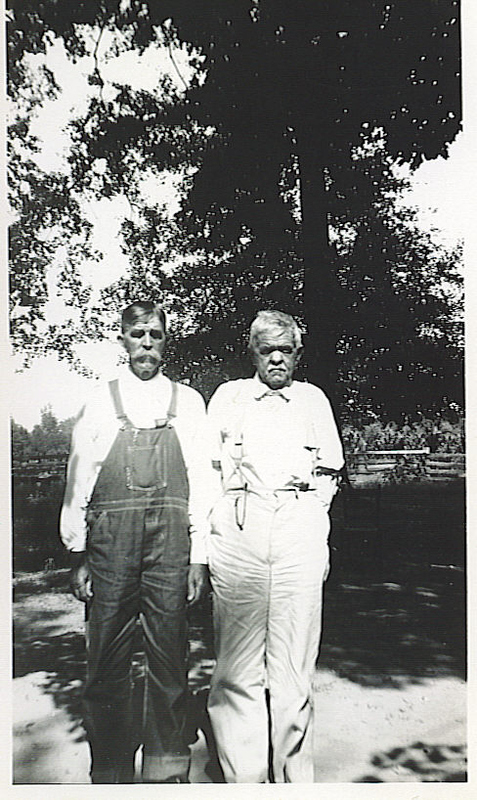 Mack is buried at Prairie Plains Cemetery in Coffee Co. TN with his second wife Bettie. 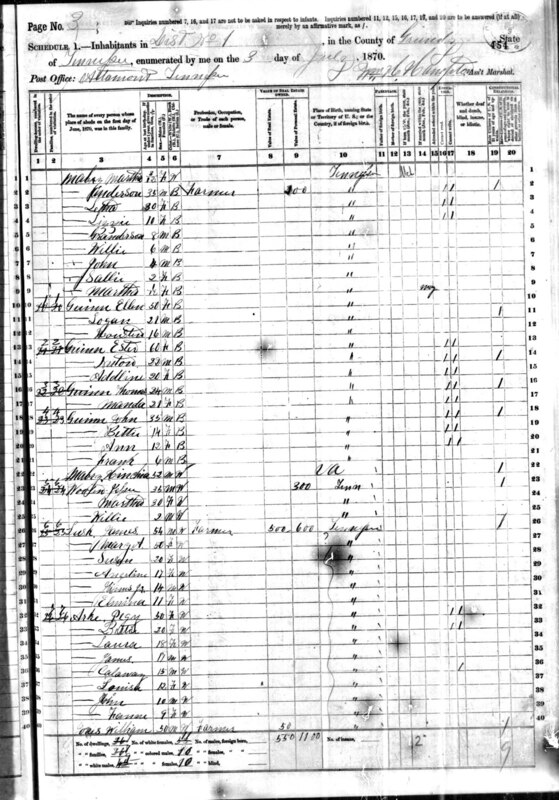 Buried: Unconfirmed, Probably Cleburne, TX - Help! Many Orricks pronounced their name "Ark" and it is spelled Ark, Arrick or Arick in several branches. 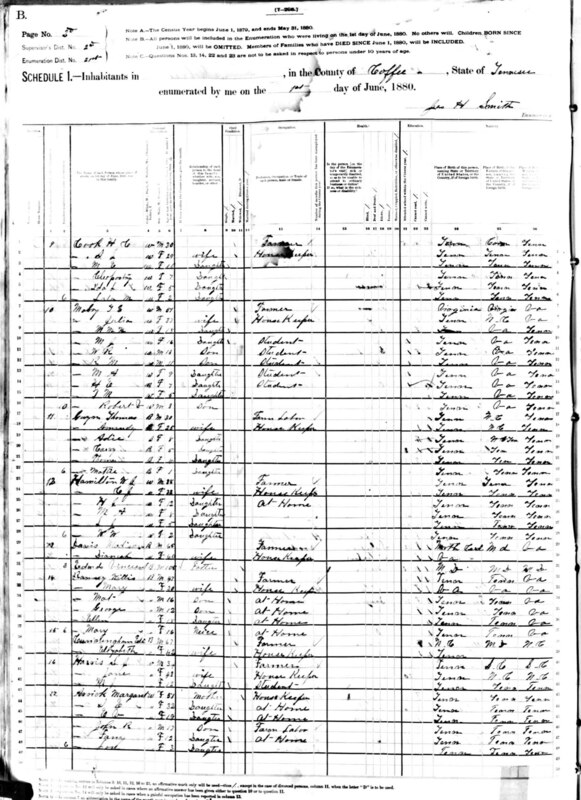 When this Orrick family's father John Orrick was shot at Shiloh and died, the family lost the exact spelling. And, there is also the problem of transcription, where clearly written 'O's are transcribed as 'A'. 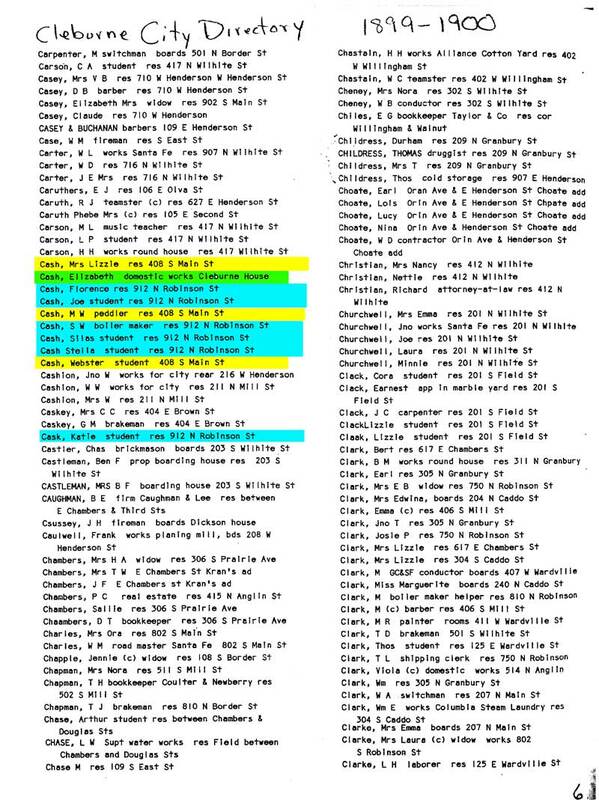 Ultimately, this means a search for Arricks must include names such as Orrick, Orick, Arke, Orouch, O'rourk, Orio; and possibly more bizarre variants such a Yeorick, Clark, and Horrock. 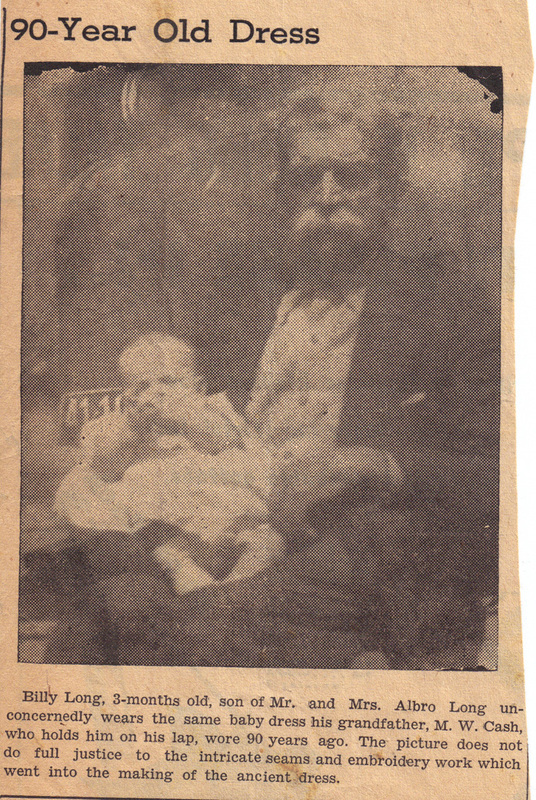 Here is Elizabeth Violet as a child with her family. They are Orricks, they live next to other Orricks. 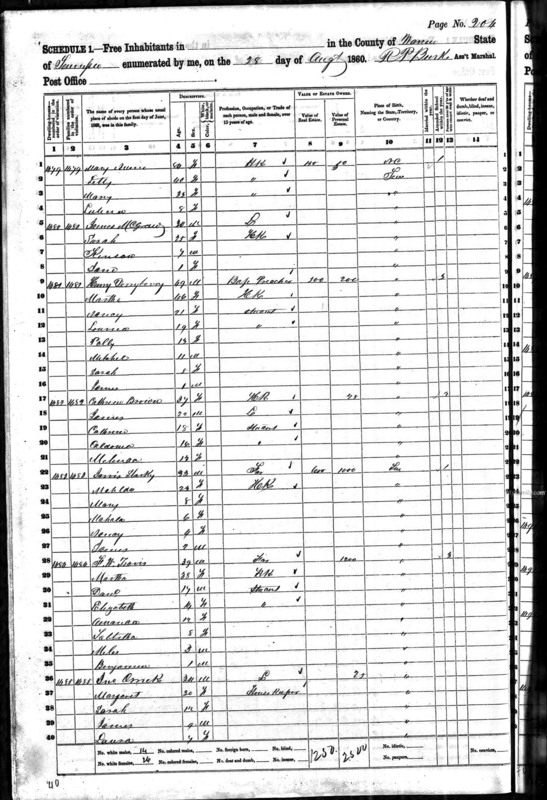 Arke, Calaway (male), 15 (1855) -- Is this William Arick in AR? 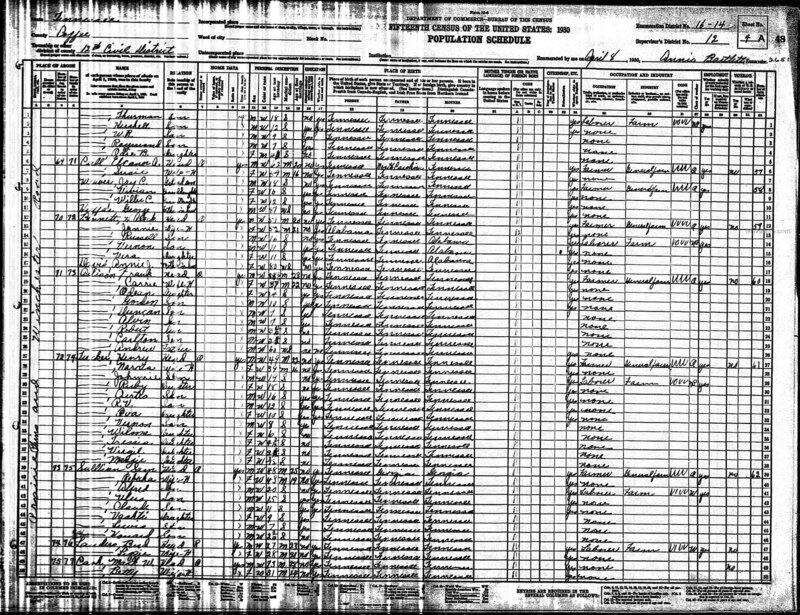 Virtually all of the 1890 census and special schedules were lost by fire, water, and human destruction. 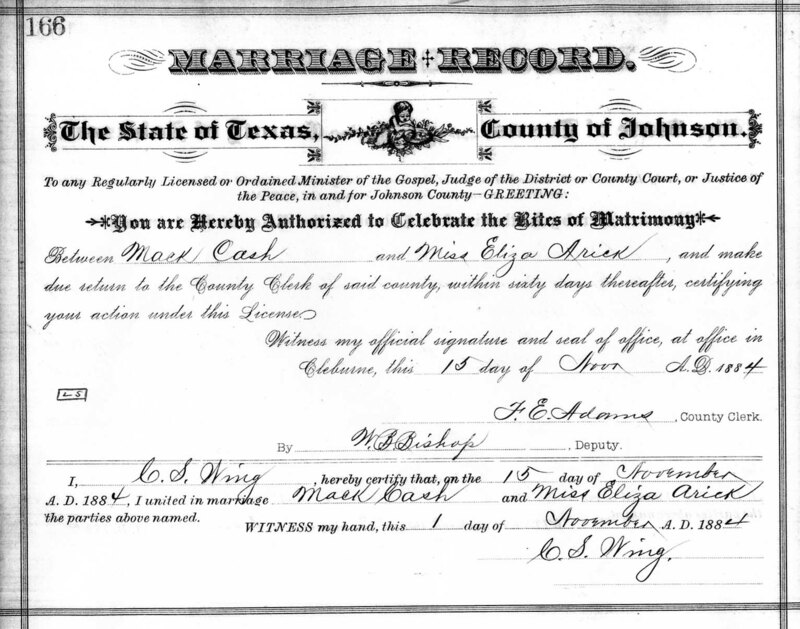 Here is the marriage record for Mack Cash and Eliza Arick. Manley Wileman Cash and Eliza are living in Cleburne TX. The other Cash family comes from Alabama and migrates to Arkansas later. They don't appear to be connected. 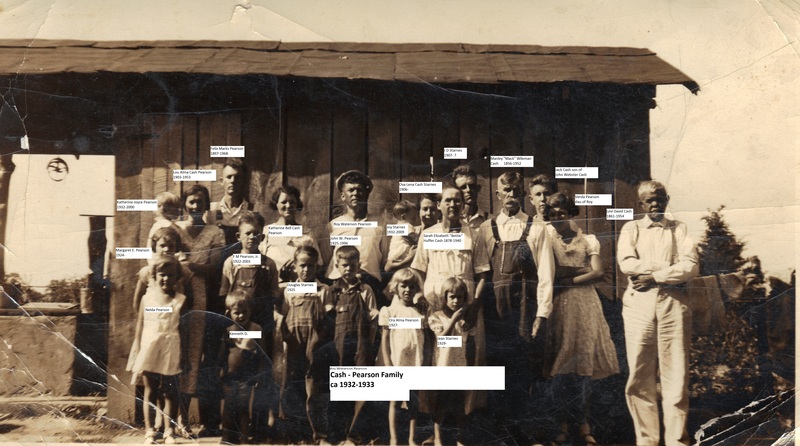 Here is Mack cash and family back in Coffee Co TN - E.V. has passed. I don't know where John Webster Cash is. Here is Daughter Catherine Cash (kittie) living with her Aunt - Sarah Elizabeth Arrick (Bettie), now Anderson. Kittie has moved from Texas where she was born, back to TN along with her Dad Mack. 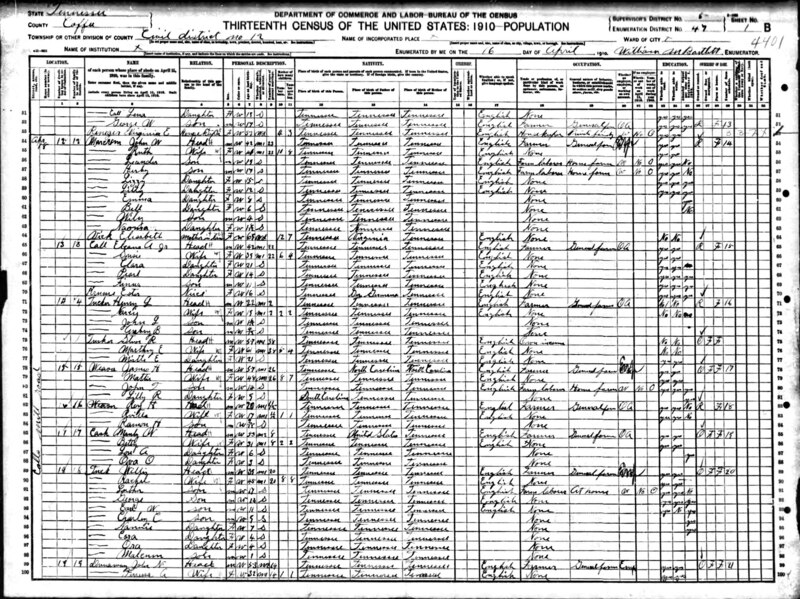 Manley Wileman Cash is in Coffee Co. with his new wife Bettie and new children. 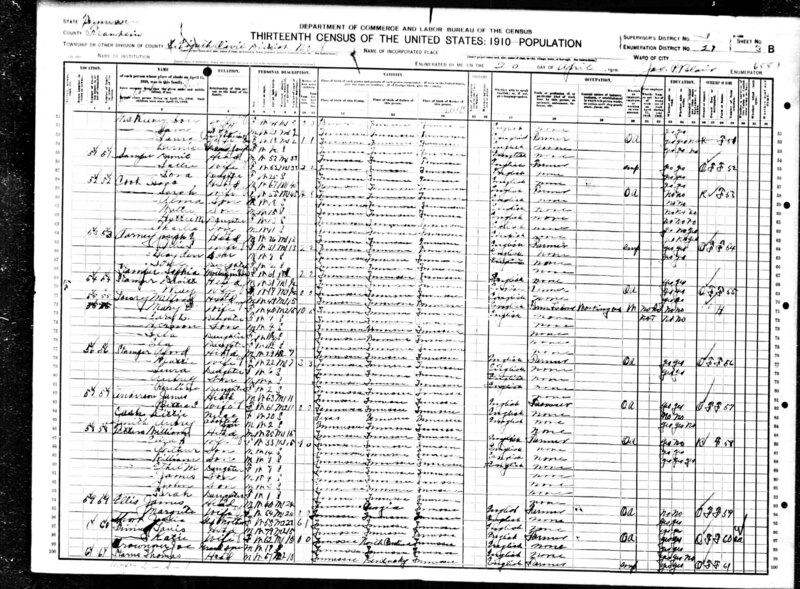 Strange thing about this census is there is an Elizabeth Olick/Orick shown on the same census page. 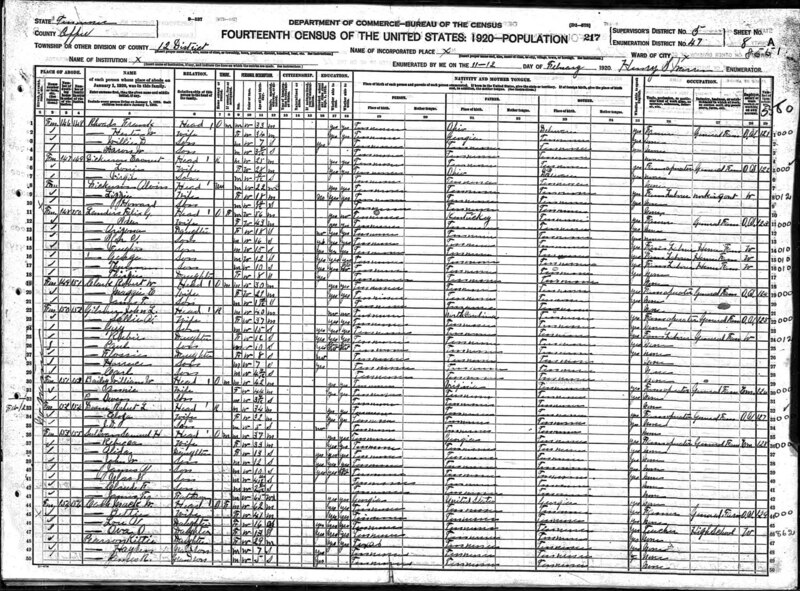 Ancestry.com transcribed her Elisabeth Vick, 69, Mother-in-Law. Probably actually a Vick. 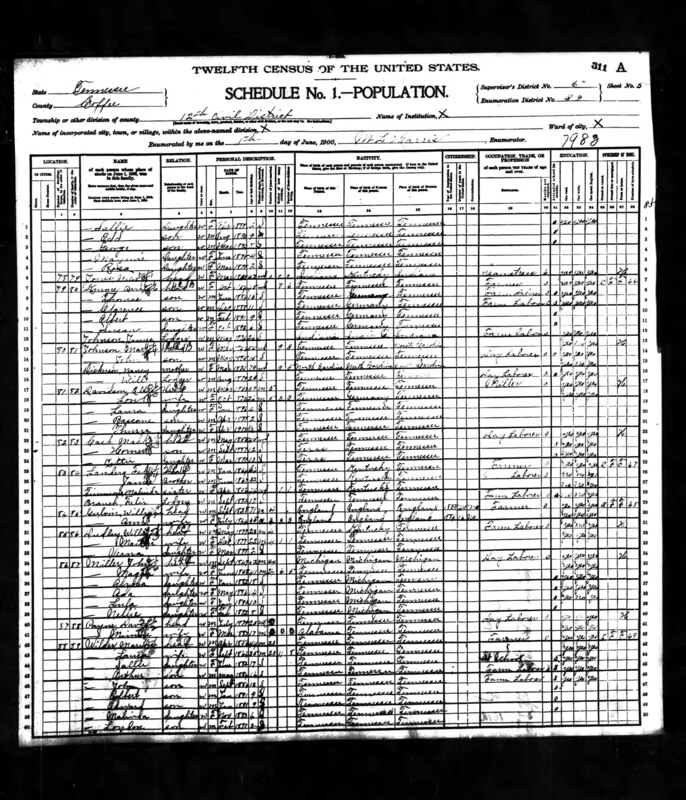 John Webster Cash is in San Joaquin CA. Here is Mack Cash and his family, along with Kittie and her kids, but without her husband. John Webster Cash is in San Joaquin, CA with his new family:. Here is Mack and Bettie, kids have left.